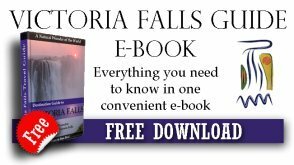 When it comes to family self catering accommodation in Victoria Falls, there is not really a great deal to choose from. The Rest Camp in the town centre is very good as are the Zambezi National Parks chalets, but as far as quality is concerned neither of these come close to Lokuthula. Hence you pay slightly more. Lokuthula was built as a timeshare resort, and is affiliated to RCI (resorts condominium international). They have consistently achieved Gold Crown recognition – ranking in the top five percent of the 3,000 RCI resorts worldwide. Even if you don't own timeshare you can still rent out these units per night - enquire here. 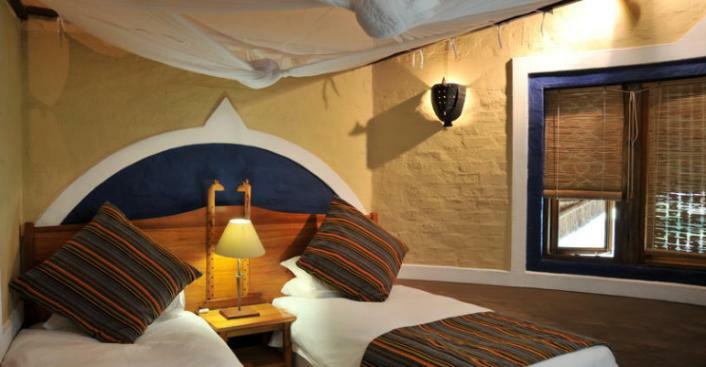 There are 31 rustic thatched lodges each fully equipped and beautifully decorated in an Ethnic theme. Situated in lush surroundings of green lawns and shady trees these units are on the same property as the very well known and popular Victoria Falls Safari Lodge. 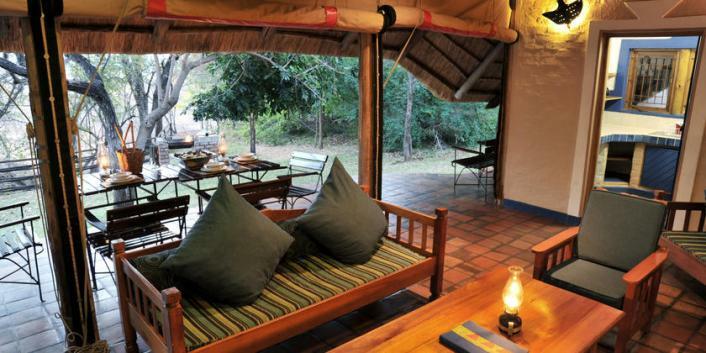 They have their own swimming pool and restaurant area, adjacent to the famous Boma Restaurant. 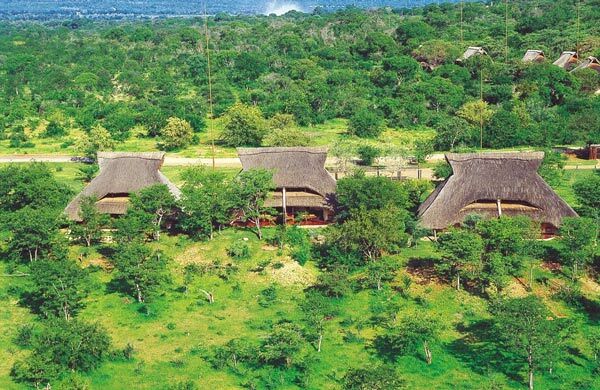 There is a choice of either 2 and 3 bed-roomed lodges, both being split-level and open fronted with roll down blinds, affording magnificent views of unspoilt bushveld. These Lodges which are only 5kms from the from the entrance to Victoria Falls (see Map) are surrounded by 80,000 hectares of unspoilt African bush bordering the unfenced Zambezi National Park. A nearby waterhole facilitates the free movement of game between the park and the lodges. 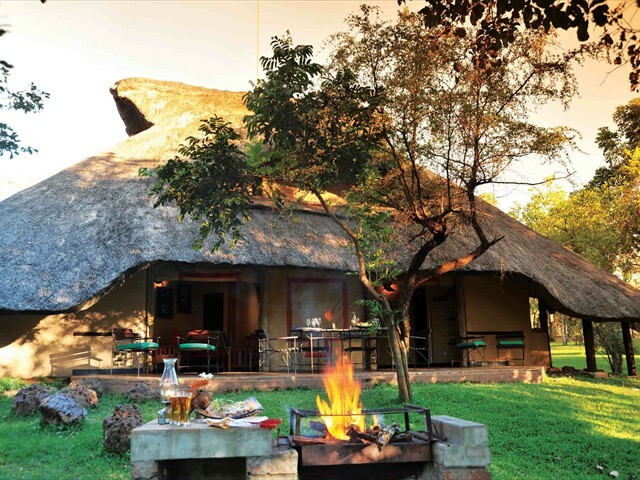 Lokuthula Lodges are a quality establishment, catering well for groups and families, especially regional clients. • Access to the complimentary bus shuttle service runs every hour into town and back from the front of Victoria Falls Safar Lodge - Last trip returns at 10pm.